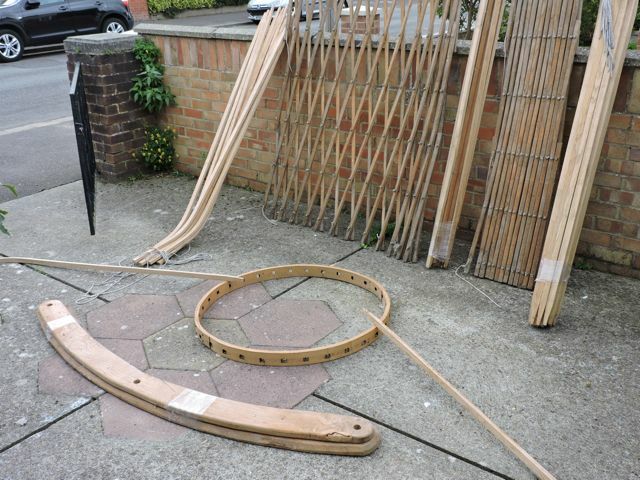 Do you need a spare Yurt frame ? I am having a clear out and have a spare Yurt frame for sale. It dates back to the days when I was running Woodland Craft Supplies and going to lots of shows. It is approximately 13′ in diameter and has an extra wide doorway so it is easy for people to see in and go in and out. It is made in ash apart from the door frame which is Elm. The roof poles have square mortices to resist twisting. I dont have any covers but you could soon sew some ! Give me an email if you are interested.